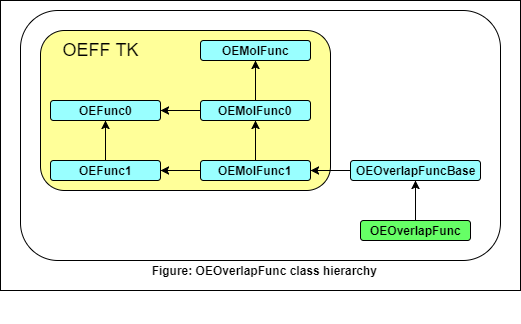 The OEOverlapFunc class defines an interface for combined shape and color overlap calculation between a reference object and a fit molecule. The OEOverlapFunc is a specialization of The OEOverlapFuncBase for combined shape and color overlap. Constructs an OEOverlapFunc instance using the specified set of parameters. Returns a reference to the OEColorFunc instance as currently set for this OEOverlapFunc. Returns a reference to the OEShapeFunc instance as currently set for this OEOverlapFunc.